joy's notepad: Cards that touched my heart! Cards that touched my heart! these cards are the best gifts I receive last Christmas. Words that warmed my heart and made me very happy. Words that made me missed my loved ones in the Philippines even more. But soon, I will be there to visit them. What she wrote made me cry, but I really appreciate all her efforts and love for me. And her children Zimon and Zyrish wrote some words to me where they thanked me for the Christmas gifts that I had given them and said that they will study hard because I am their example. I am really proud of them. They also said that they love me and misses me. Well, the feeling is mutual! And this card I received from Ethan, my fifth grandchild. 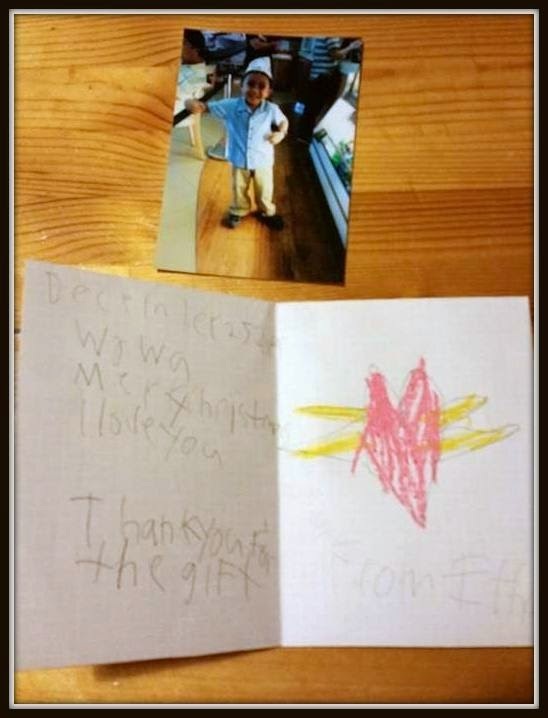 He made this card and he also thanked me for the gifts and said that he loves me too. Made grandma very happy too. Just want to thank them for remembering their grandma and showing their love to me in their own lovable ways. What beautiful words on the card your daughter gave you, and how thoughtful of your grandchildren to send you handwritten notes. In this age of electronic cards, social media, and email, it is still so special to receive cards in the regular mail. So special! I can see why they touched your heart, Joy, they are wonderful. Lovely cards, heart touching words and loving family. Beautiful cards to treasure, Joy. I have some cards that I have received over the years that I have in a" keepsake box"
The eyes of the heart! Are you carrying a heavy load? Are you a bird watcher? Let us color our world! Memories...you light up my life! A love that won't go!